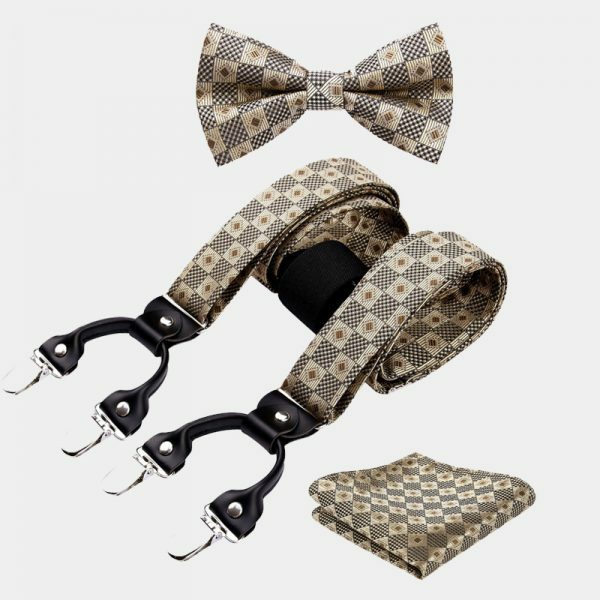 Spice up your accessory collection and try something new. 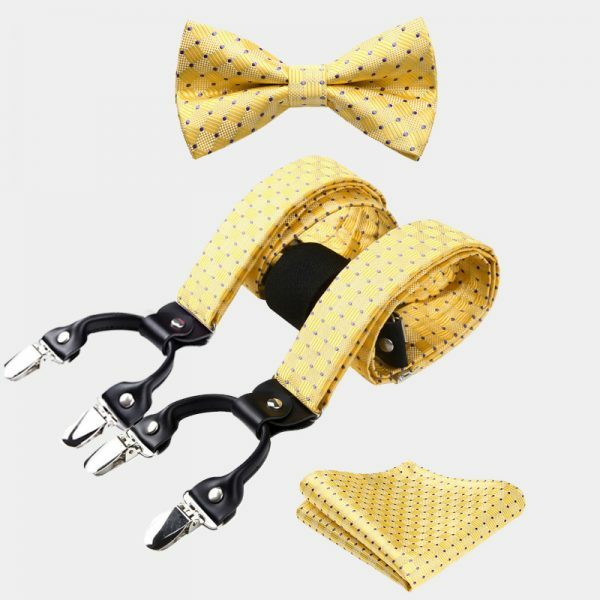 Add this gentleman’s yellow dotted bow tie and suspenders set and change up your look. 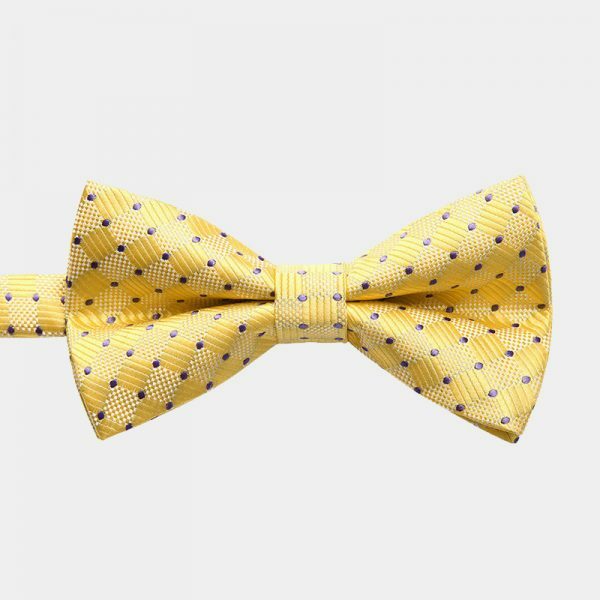 The soft yellow and the gray color combination pairs well with casual and business attire as well as your formal wear. 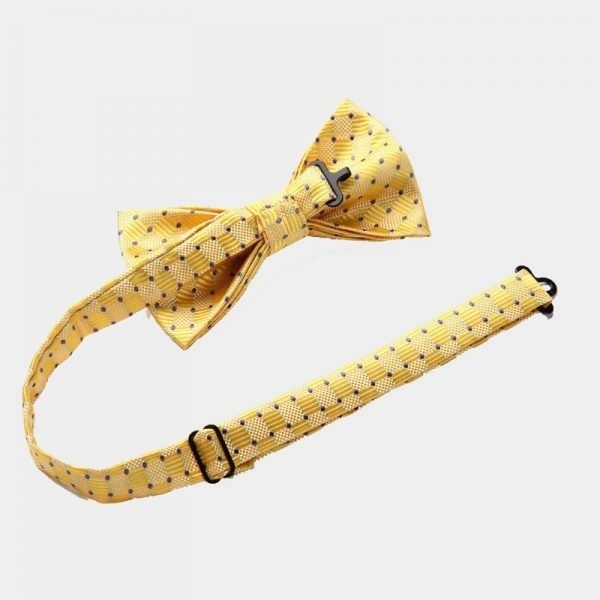 This yellow dotted bow tie and suspenders set can be worn together or separately. 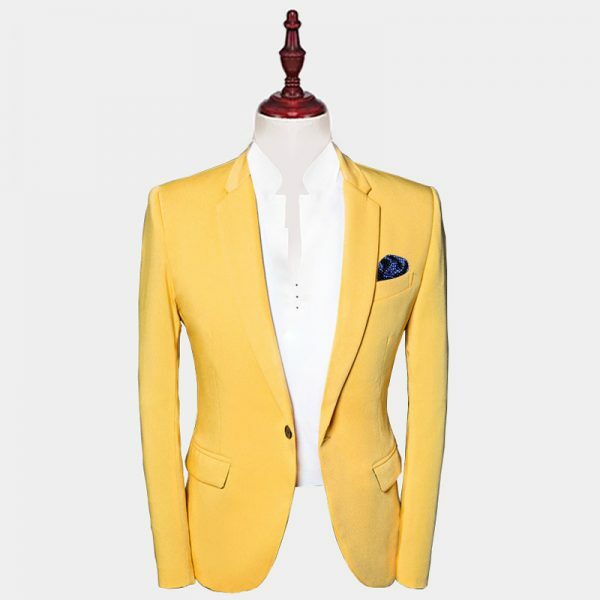 So it not only looks great but it stretches your wardrobe budget further. 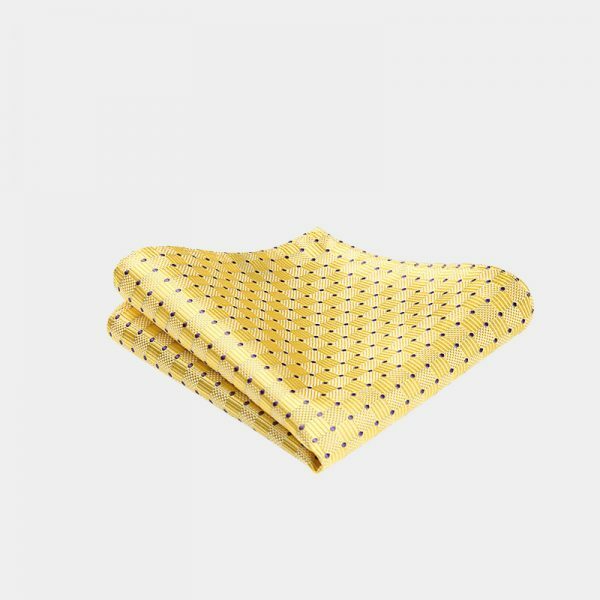 The buttery yellow colored material has a soft gray micro-dotted pattern that adds visual interest without being too bold. 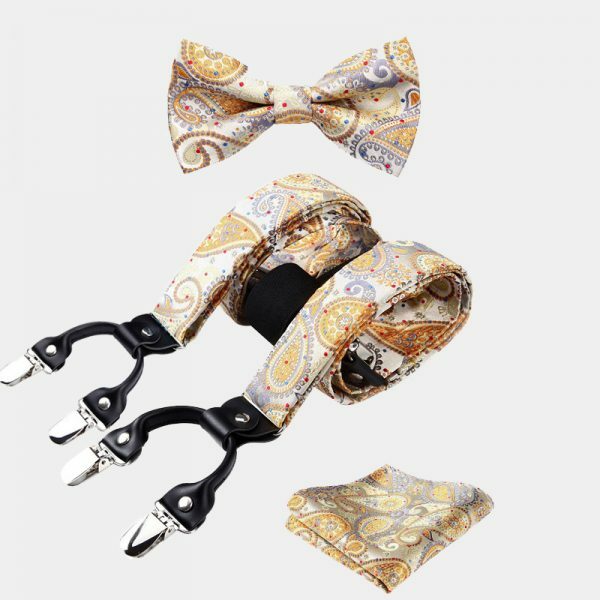 This exceptional set is handcrafted carefully and produces a set you will be proud to own. 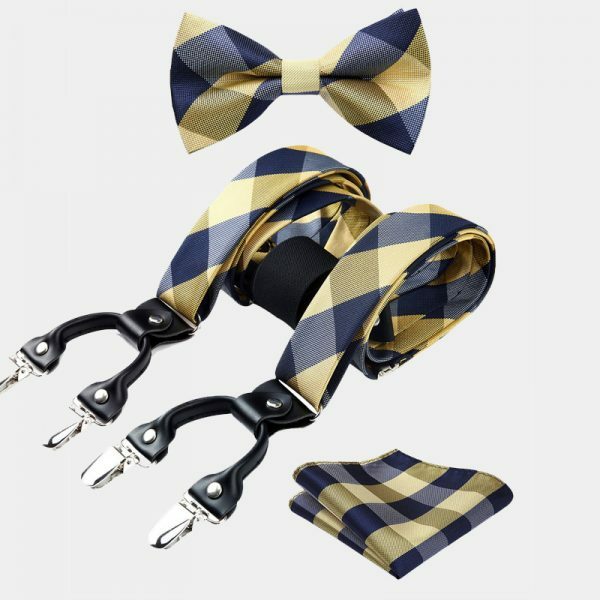 The pre-tied bow tie is fully adjustable which makes it a great no-fuss accessory. 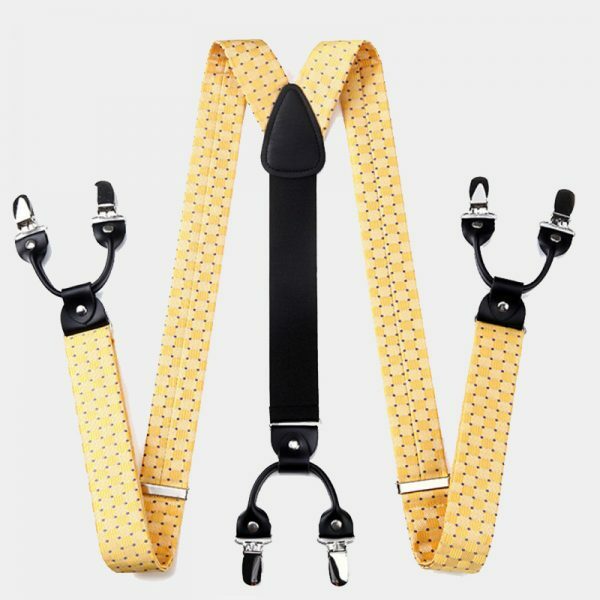 The soft and durable suspenders have non-slip clips that keep your trousers exactly where you want them. 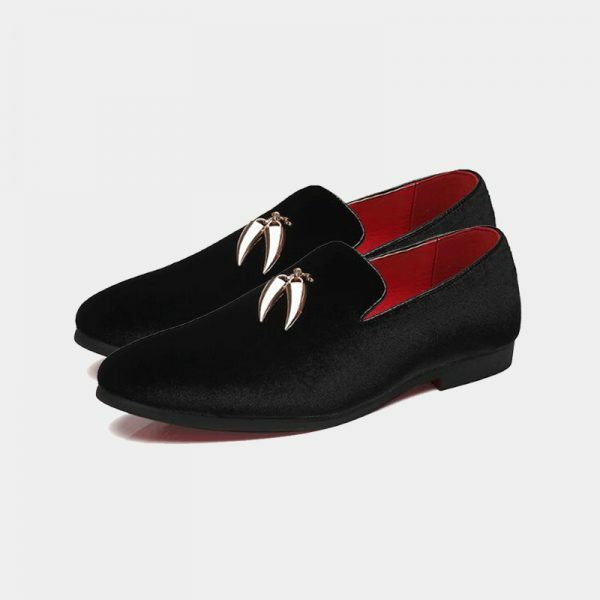 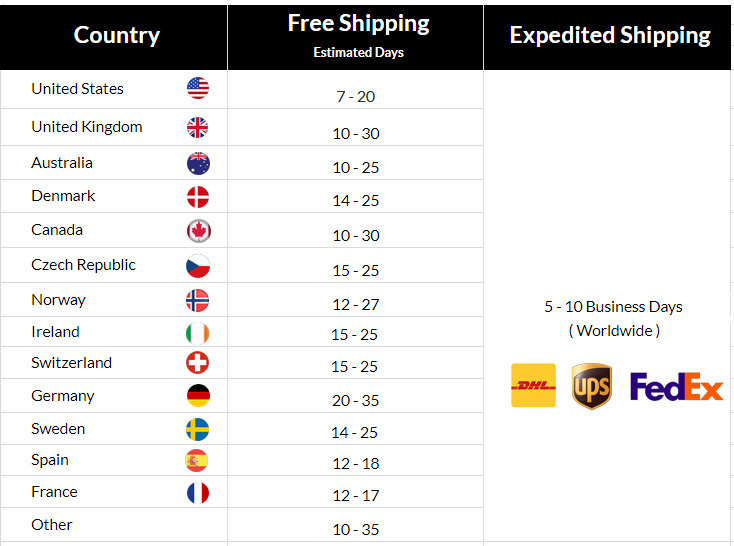 They also easily adjust to give you the perfect custom fit every time you wear them. 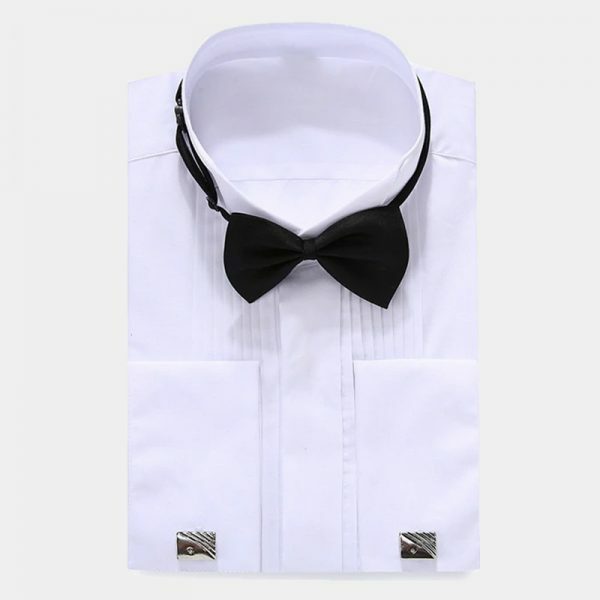 In addition, a lovely matching pocket square is included to pull your look all together. 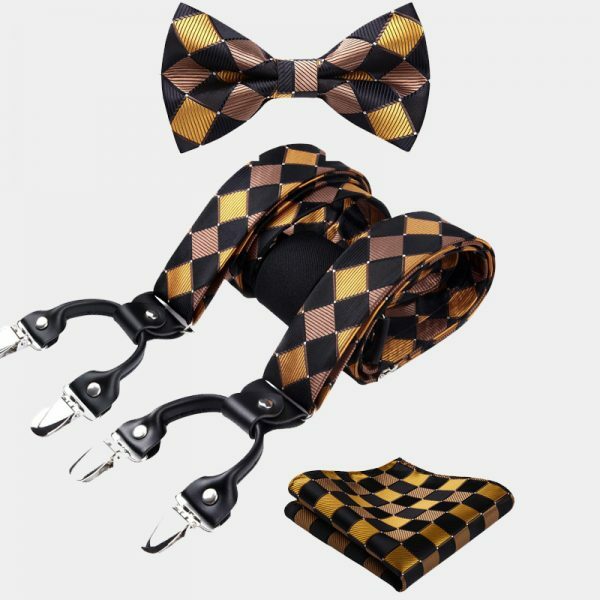 Pick up this yellow dotted bow tie and suspenders set and spoil yourself or someone you love today.